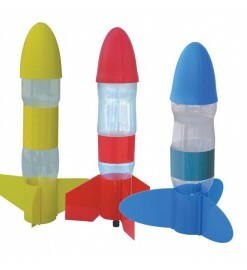 Water rockets are made with a common plastic bottle (PET), the same kind used for soft drinks, with a soft rubber nose cone and plastic fins. They are propelled by water under the pressure of air compressed by a common bycicle pump. 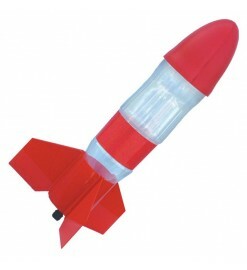 These rockets are good for education, for the younger fliers or as an alternative to regular model rockets. 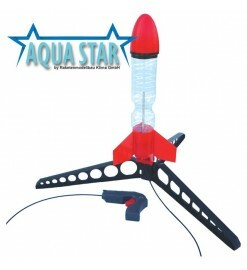 Water Rockets There are 3 products.